The DCP includes approximately 795-acres which was originally part of the 50,000 acres farmed for dryland wheat by Clovis Cole. Since that time, the land has been mostly leveled, irrigated, and divided into more than 235 different private ownership parcels. However, much of the original agricultural and open space character and appearance of the land still exists today. By the late 1960s, considerable land division was occurring. To protect the remaining area farmland, Fresno County designated the area as AE-20 (Exclusive Agriculture -20-acre minimum), in their County General Plan. In 1974, the DCP was included within the Clovis Sphere of Influence. The City then began to plan for the area, pursuant to the City-County Memorandum of Understanding (MOU). Under the Agreement, the County continued its jurisdiction over land use decisions, permitting and enforcement, but the County would confer with the City in making those decision. In 1988, the area was included in the City’s Herndon Shepherd Specific Plan. In that planning action, the entire area was designated as R-R (Rural Residential), with a minimum parcel size of two acres. That designation reflected very strong preferences, as expressed at the time by a large majority of DCP landowners who desired to keep the area’s rural lifestyle. Under the two-acre minimum parcel designation, many of the larger parcel owners submitted proposed Parcel Maps to the County, asking to divide their 20-acre properties into various configurations of two-acre or larger rural-residential parcels. The area was developing into a decidedly rural-residential community. The R-R designation attracted buyers who desired larger land parcels for a variety of reasons. Many wanted small farming operations or just space for larger homes and yards. 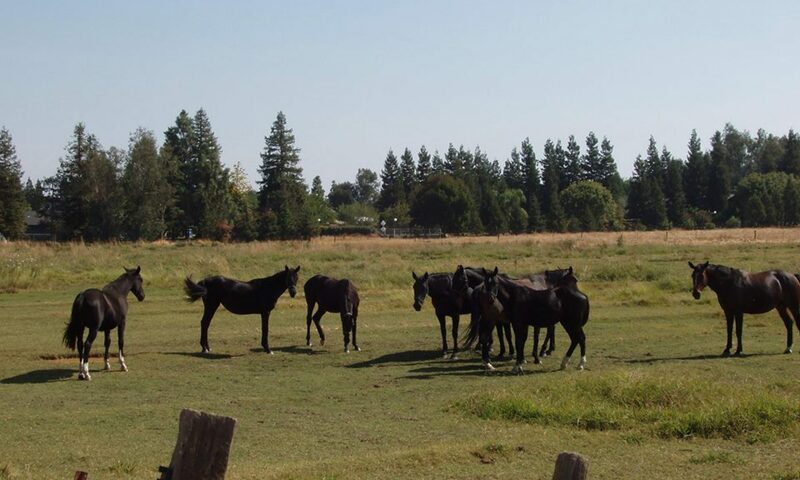 Many others desired to keep horses or other livestock. Still others needed larger properties for storing equipment or materials or as a larger base for their home-based businesses, then allowed under the County’s designation. Varied as it is, the R-R lifestyle has become a very important part of DCP residents’ lives, based on the expectations created by the two-acre provisions of the Herndon-Shepherd Specific Plan. The residents have repeatedly defended their preference to remain under County jurisdiction (avoid being annexed into the City of Clovis) and keep their existing Rural–Residential zoning and lifestyle. There are however, some landowners who desire to further develop their DCP properties into more intensive uses. Consequently, several studies have been conducted with the intent to document the desires of DCP owners. The earliest was a Master’s Degree Thesis by Deborah Morley, in 1988, which pertained to the entire Herndon-Shepherd Specific Plan area. In her mail-based survey, only 13 percent of small (2-5 acre) parcel owners desired to be annexed into Clovis. Of larger Parcel owners, 43 percent responded affirmatively. Another survey was conducted in 2009 by the DCP Neighborhood Committee. In that survey, with only about 25 percent of owners responding, over 90 percent of respondents desired for the DCP to keep its rural character. Only 8 percent expressed desire to further divide or develop their property. The most recent survey was an in-depth effort carried out by the DCP Neighborhood Committee and closely coordinated with the City of Clovis, in 2014. In that mail survey effort, 94 of the ±231 contacted landowners responded. 86 percent of respondents (79 percent of the land area) expressed desire to retain the DCP’s rural open space character and existing R-R designation. 13 percent (21 percent of land area) desired more development. Of the 12 respondents who desired to develop, four owned less than three acres, and nine were absentee owners. That is the background that was faced in trying to identify a future vision for the area. A very large fraction of owners desire no major changes. Others desired or needed to develop their property. It was the intent to consider the interests of both groups in prescribing development guidelines. In addition, the City of Clovis and Fresno County also have particular needs with regard to area infrastructure, services and associated costs that also need to be a part of the discussion. It quickly became apparent that no one would receive everything they desire or need under this Master Plan. It would have to be a compromise process, with a goal to meet as many people’s needs as possible. Substantial effort and communication, as described herein, has occurred to understand the array of different needs, and to address those needs where possible. The discussions were lengthy and the compromises reached were often difficult. The process itself has created expectations that the compromises reached will be real and reliable, and will not be freely upset over time. A major goal of this Master Plan was to achieve certainty and predictability for the area residents and interested parties.